January, 2018 | Fresh Air, L.P. In a place like Texas, it can be hard to keep an air conditioner in pristine condition, considering how much demand homeowners put on their systems. If you care for your cooling system properly, however, there’s no good reason it can’t work as efficiently and effectively as possible for as long as possible. Part of this care is ensuring you invest in routine Sugar Land, TX air conditioning maintenance. One of the most common questions we get about maintenance is when the best time to schedule it is. Generally speaking, air conditioning maintenance should be scheduled before the system’s heaviest period of use, so in early spring. However, when you have your maintenance scheduled is not as important as how often you have the service completed. But why is preventive maintenance so necessary? 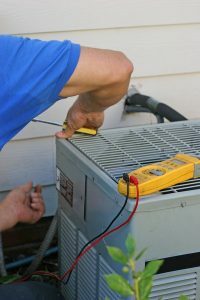 When you think of all the appliance repair and service needs you may have over the course of your homeownership, one that sticks out as particularly concerning is likely that of your Katy, TX HVAC system. True, our climate doesn’t get nearly as frigid as other parts of the country, but when you’re dealing with heat for as long as we do during the year, winters seem that much colder. Given the current time of year, we’re going to focus on heating systems for this post—particularly, furnaces. First off, we hope that you invested in furnace maintenance before winter began. Maintenance gives our professionals the chance to fully inspect your heating system, cleaning it and making any adjustments or recommendations for repairs as needed. If you skipped maintenance this year, or you didn’t follow up your tune-up with recommended repairs, then you might run into one of the following furnace repair needs this season. How Can You Get the Most from Your Ductless System? Take care of your investment by scheduling routine maintenance. Since ductless systems are used all year, the best way to care for the system is by scheduling this maintenance session twice a year rather than once annually as you would with a conventional air conditioner. Why is this so important? 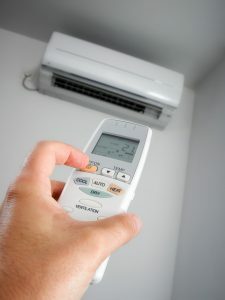 Posted in Air Conditioning | Comments Off on How Can You Get the Most from Your Ductless System?